How Henry Rollins Escaped the Bleak Existence He Calls "The America"
Henry Rollins talks about how fear of winding up starting in The America drove his to his remarkable career. 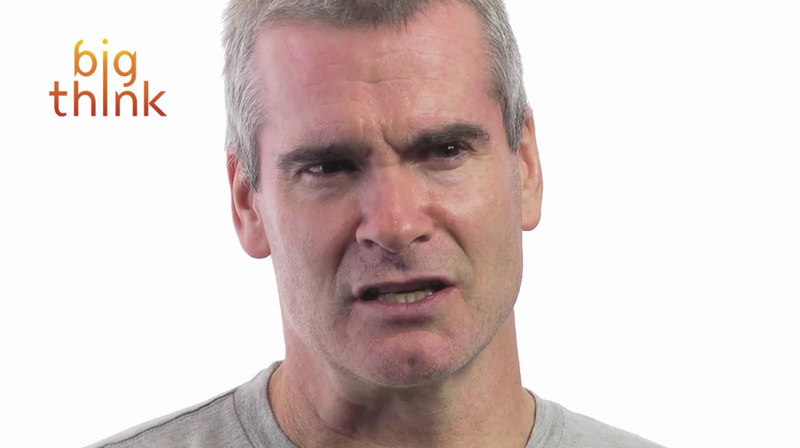 Henry Rollins was a serious Black Flag fan before he got an offer to audition as their lead singer. When he got the call, he was leading a “tiny life” as the head manager at a Haagen Dazs shop in Washington, D.C. Rollins had never considered singing for a living—though he had recently jumped on stage for fun with Black Flag—but the ice cream scoop in his hand and his spattered apron looked a lot like the future, so he gave it a shot. Obviously a wise choice.